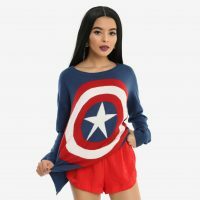 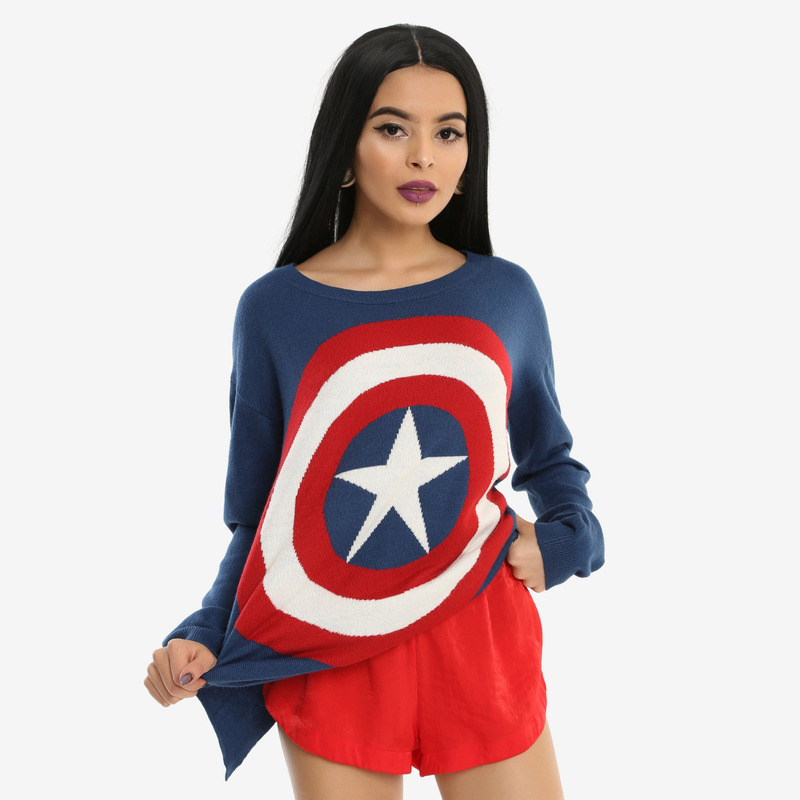 You don’t have to be a super soldier to wear the Captain America Shield Girls Sweater, but it does help if you like red, white, and blue. 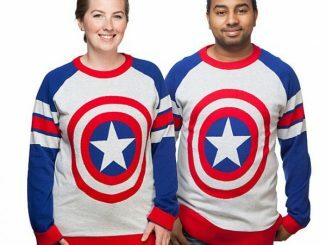 Poor Cap has had a rough time. 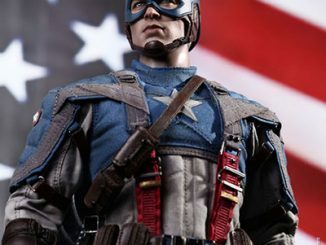 He’s been an outlaw, fought Iron Man and other former allies, and has even been transformed into Hydra Cap. 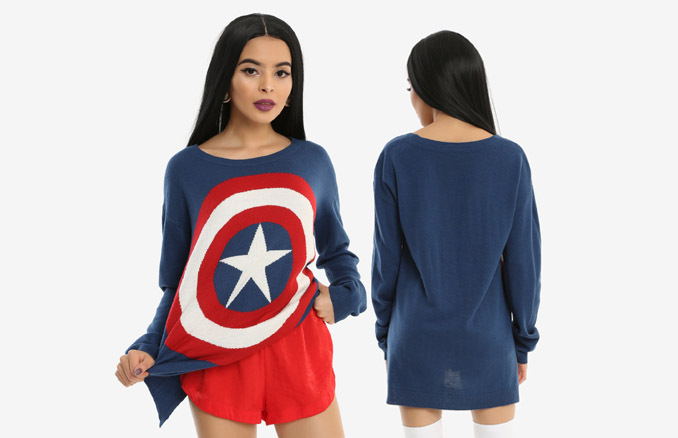 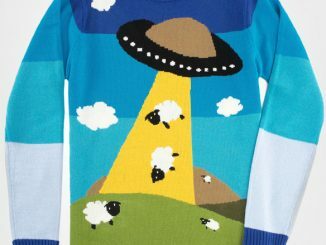 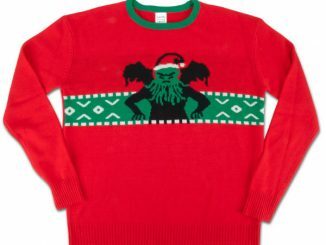 Fortunately, you don’t have to go through anything like that in order to appreciate this blue 100% acrylic sweater that features Captain America’s shield on the front. 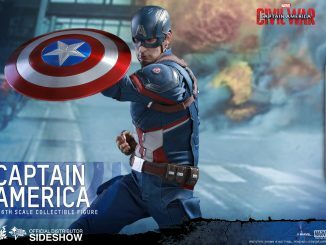 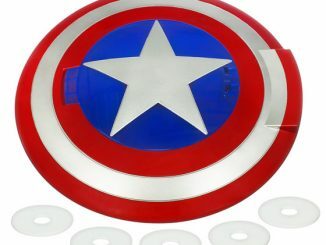 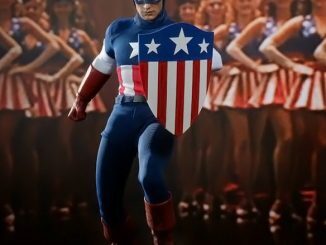 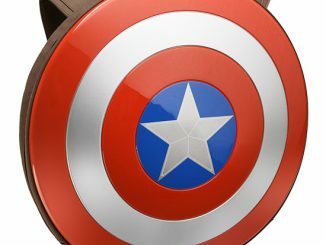 Sure, the star-spangled Avenger wears his shield on his back when he’s not using it but you have to admit it makes a much better style statement on the front.